My name is Daryl Smith. 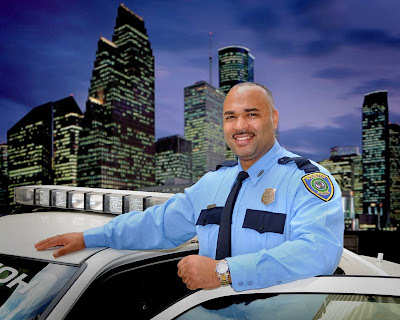 I have been a Houston police officer for 15 years. Before joining the Houston Police Department I worked for the Galveston County Sheriff’s Department. Although I enjoyed working for Galveston County, I wanted more. I knew that a city the size of Houston would allow me to pursue endless opportunities. After joining HPD, I patrolled the streets at the South Central and Southeast Patrol substations. Patrol was exciting and fun. After patrol I started teaching a drug free program formally known as D.A.R.E. Speaking to children about the dangers of drugs was a wonderful opportunity and I loved every minute of it. After the D.A.R.E. program I worked in the HPD Marshal's Office executing warrants. The Recruiting Unit had an opening and I thought this would be a good fit. I have now been in Recruiting for three years. 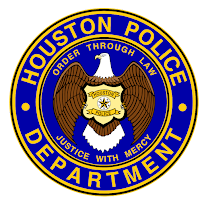 I have thoroughly enjoyed my years with HPD. It is a very rewarding career. 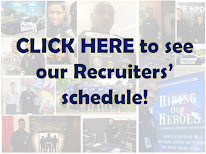 HPD has afforded me the opportunity to increase my education and skills as a police officer. I have learned professionalism, character, and moral ethics, which is the foundation for effective police work. I hope that you will find the courage and motivation to join us in continuously making this city a safe place to live. I am Daryl Smith and I am a Recruiter. He interviewed me. Very nice Officer. Thanks for all you do! Have you ever heard his Schwarzenegger impression? It's dead on!